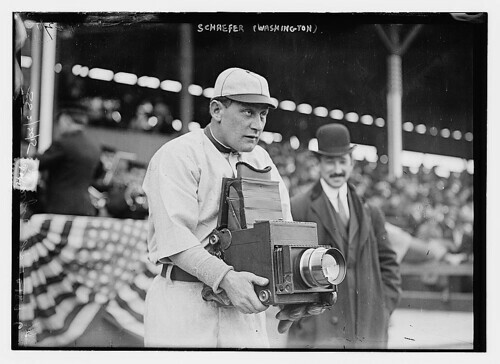 While many types of cameras have been used through history for journalistic photography, certain models are so strongly associated with the role as to have earned the name "press cameras." Typically, ruggedness and speed have been the qualities desired by press photographers. 1. The Graflex Speed Graphic may be the most iconic press camera: A versatile collapsible medium-to-large format folding camera. 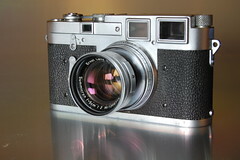 These may be focused with either a coupled rangefinder or (for more careful work) with a ground glass back. 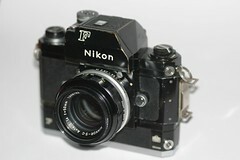 In addition to an optical viewfinder, a simple frame sportsfinder is available for quickly composing a shot. 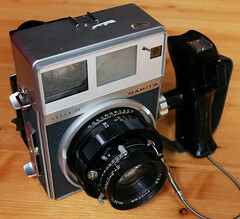 The image format is most commonly 4×5 inches, but sometimes smaller. Rollfilm holders can be exchanged midroll to enable exposures on plates instead. The cameras have view camera qualities, including front standard shifts and tilts. 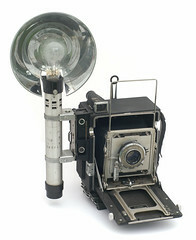 The cameras were often used together with professional-grade bulb flash guns which also served as a large handgrip. 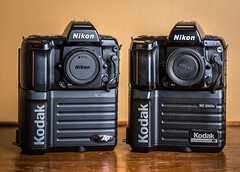 Lens boards are interchangeable. Burke & James, Busch and other smaller firms offered models that followed a similar body style. 2. Sophisticated strut folding cameras which, however are not as versatile due to their construction. 3. 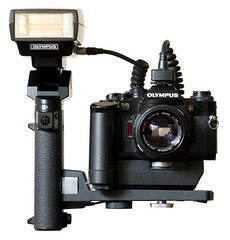 Rigid body rangefinder cameras with superb interchangeable lenses and a large handgrip. 4. A SLR or a Digital SLR camera of a robust quality; together with fast lenses, motorized film winder, camera grip with additional batteries, and professional flash. 5. 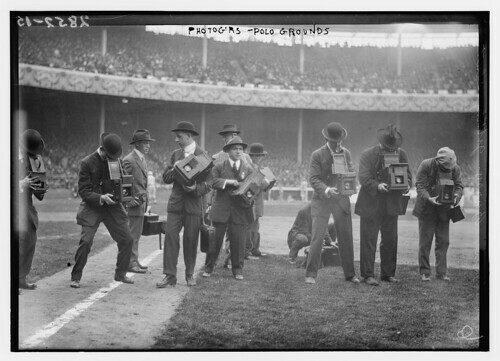 Any camera can be used by press photographers to document situations. Of course most smaller or simpler cameras will have limitations that would reduce the quality or even the usability of the imaging results. This article is mainly about type 1, 2, 3 and 4. ↑ An image of Al Gore by photojournalist David Burnett taken with a plastic Holga won a top prize in a 2001 White House News Photographers' contest: "Which Camera Does This Pro Use? It Depends on the Shot" by By Seth Schiesel, June 8, 2005 New York Times. This page was last edited on 22 March 2015, at 08:42.